There's been a storm of criticism of Canonical's Unity Shopping Lens, amid concerns about security, privacy and the inevitable cries of "sell out" from the Open Source community. Yes, Canonical is a company which has outgoings including developer payroll and infrastructure costs used by Ubuntu, flavours and many derivatives (hello Mint users!). A significant chunk of the many millions of pounds spent on developing Ubuntu (and keeping Canonical afloat) comes from the deep pockets of one guy, Mark Shuttleworth. This is flat out not a sustainable approach and never has been seen as one. We've always been looking for ways to generate revenue, and already have many in place. But that's only part of the story. The goal of the dash in Unity is to be a central place where users can search for *anything*. This is very similar to the start menu in Windows 7, Spotlight on the Mac, and the search page on iOS. All of those platforms implemented a simple "search everything which is important to me" feature before we did. What we're trying to do is make it easy for users to find the stuff that's important to them right from their desktop. In the past that was limited to searching documents & files, applications, music, video both online and offline. 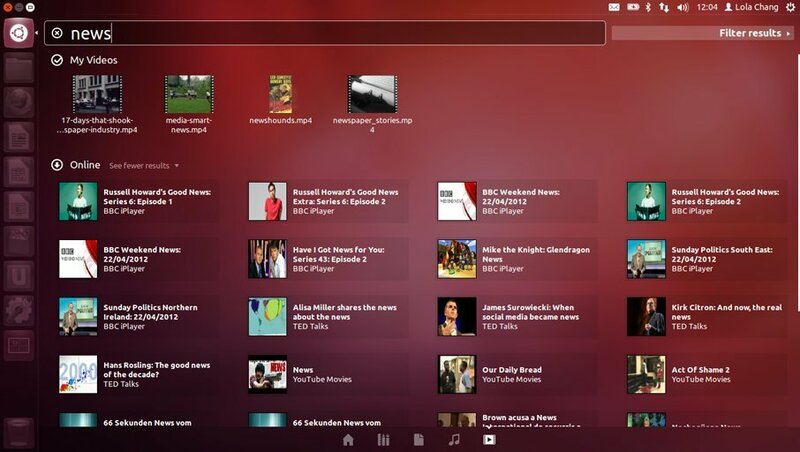 The ability to search iPlayer, Google Docs and Amazon Video were also added. Then came the shopping lens. The shopping lens adds "more suggestions" to the search in the dash. At the moment in the very first release it's limited to a restricted set of stores. Most people see Amazon, but it's possible for us to add any number of additional stores in the future. The shopping lens has been contentious for a number of reasons. One of the main causes of this contention is that it landed very late in the development cycle of 12.10. It should have landed nice and early so it got lots of visibility, testing, discussion and debugging before we froze 12.10 and pushed it out the door at the end of October. Unfortunately it wasn't developed until very late, and was pushed into the distro in quite a rush. We've learned a lot from that and have changed a number of processes to ensure it doesn't happen again. We were really surprised when the protests kicked off about the shopping lens. We very rapidly developed an imperfect fix to enable people to switch the lenses online features off, and have been monitoring the bug reports and feedback we're getting. Of course this doesn't address the specifics of what people are objecting to, but I think enough has been written about that. What I would say is that 12.10 is a post-LTS release, where we often introduce new "crack". In subsequent releases we improve upon that as we head towards the next LTS release. Users who are unhappy with the feature have numerous options including staying on 12.04, uninstalling the lens, using a different desktop or using a different distro altogether. I don't see the shopping lens going away in 13.04, I don't see it being made opt-in and I don't see us ripping it out of 12.10. I find it incredibly disappointing but unsurprising that someone like RMS takes to the airwaves to tell people to shun us. He's entitled to his opinion though, as are you and I.